Deluxe quartz movement with an alarm function, solid glass panel, and solid PNP silver metal are combined to create a masterpiece. 7.75" x 7.5" x 1.875"
Imprint Dimensions: 2.5" x 1.75". Imprint Location: Front Under Clock. 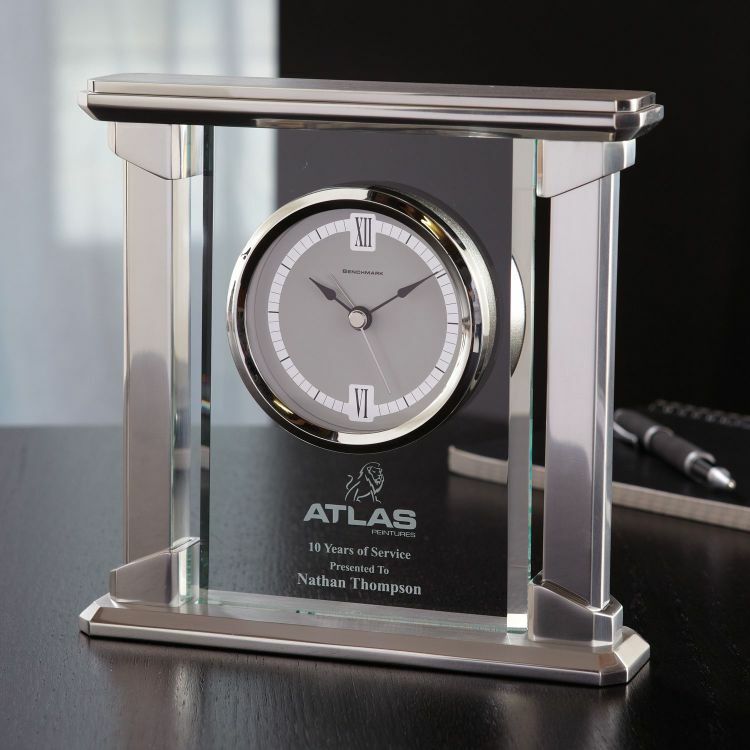 PLEASE NOTE - EXCEPTION TO THE ABOVE: This item includes your choice of a laser or screened imprint on a mounted plate or a sand etched imprint on glass.